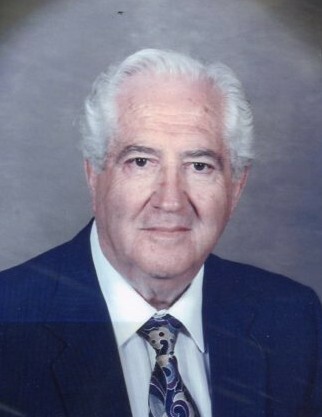 Richard Watson, Jr., 95, of Eckhart, passed away Saturday, March 23, 2019 at Sterling Care at Frostburg. Born June 19, 1923 in Eckhart, he was the son of the late Richard and Mary Elizabeth (Porter) Watson. In addition to his parents, he was preceded in death by his wife, Colleen Watson; sisters, Mae Hansel, Ruth Logsdon and Bea Shaffer; and brother, John Watson. 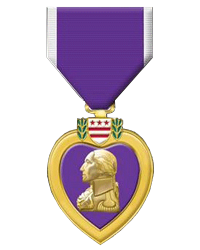 Mr. Watson was a World War II Army Veteran, a Purple Heart recipient and a member of the 45th Thunder Bird Division in Central Europe. He retired from Kelly Springfield Tire and also worked for Celanese and Monarch Finer Foods. He was a 1941 graduate of Beall High School. Richard was a member of Eckhart Baptist Church, Farrady Post #24 American Legion, and Moose Lodge #248. He was active in the Frostburg Senior Center and enjoyed traveling, hunting, bowling, fishing and his family and friends. Surviving are sons, Gary Watson and wife Betty, Frostburg and Blaine Watson and wife Lisa, Frostburg; sister, Grace Plummer, Eckhart; special friend, Iris Stegmaier; and numerous nieces and nephews. Mr. Watson was cremated in accordance with his wishes and a celebration of life will take place at a later date. Inurnment will be in Eckhart Cemetery. The family would like to thank the Sterling Care Nursing Home for their compassion and care.